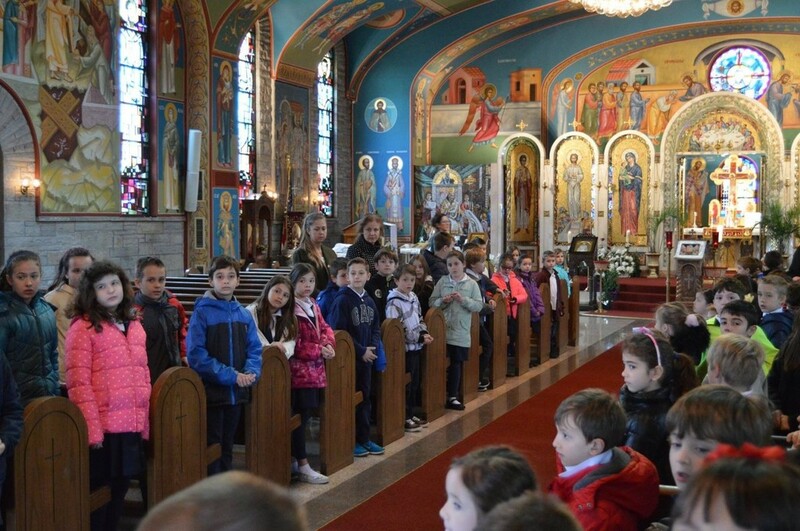 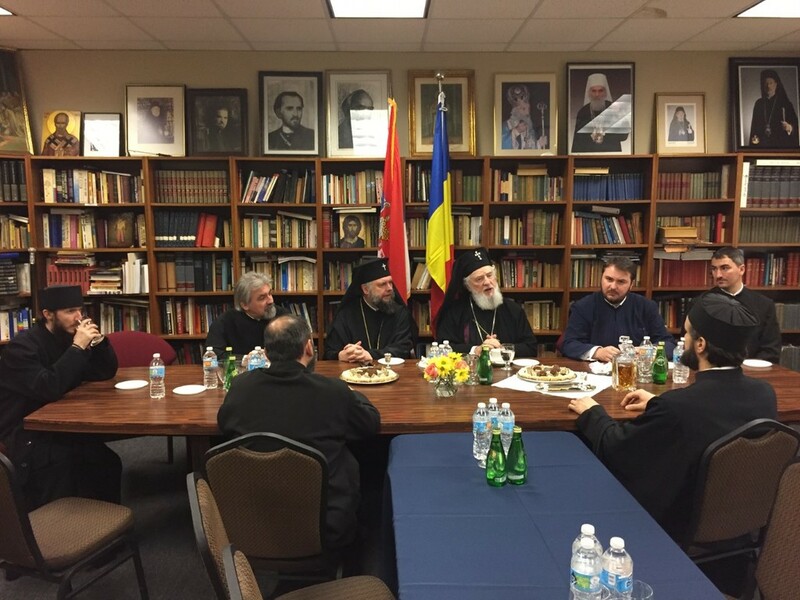 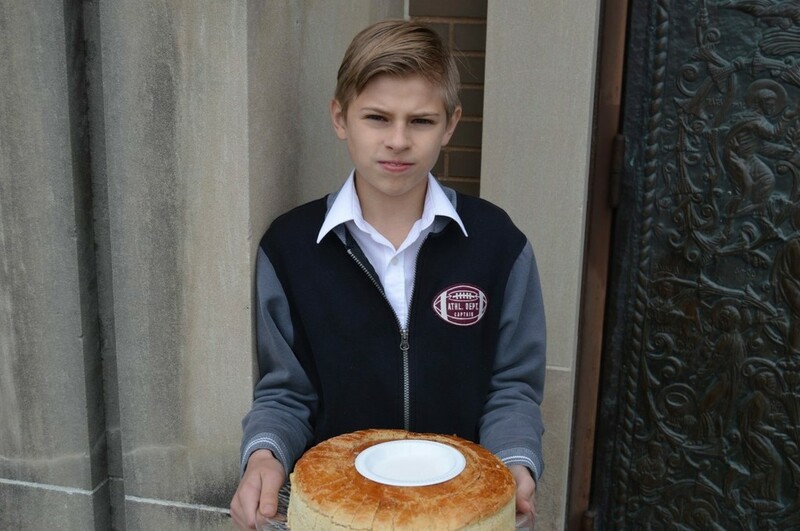 A high-level delegation of the Romanian Orthodox Church, which arrived in Chicago to participate in the enthronement of His Eminence Metropolitan Nicolae of the Romanian Orthodox Metropolia of North and South America last Sunday, visited today Holy Resurrection Serbian Orthodox Cathedral and Saint Sava Academy. 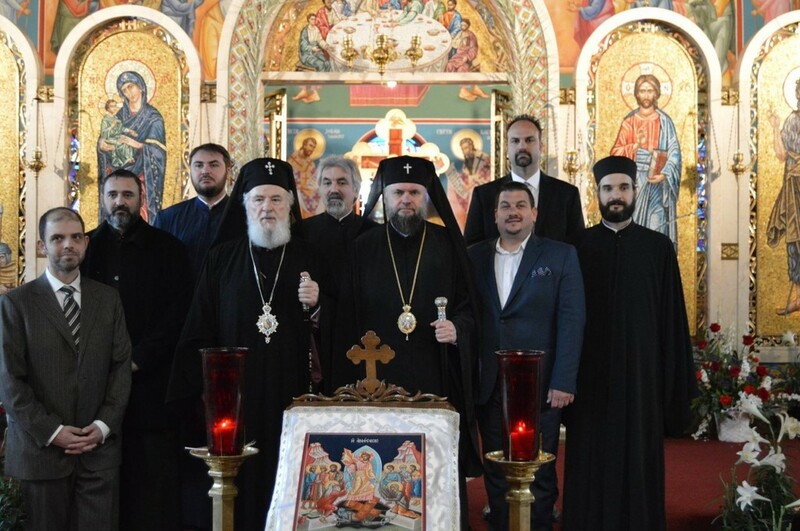 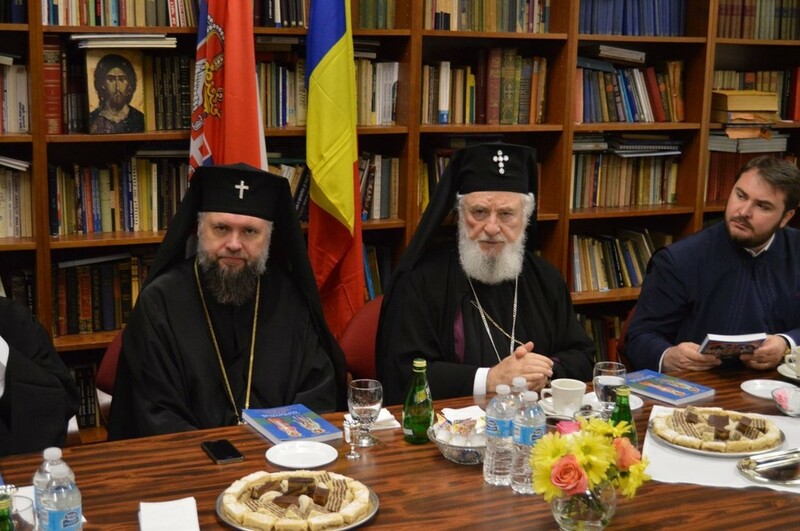 The Romanian Orthodox delegation was headed by His Eminence Metropolitan Niphon of Targoviste, Exarch for External and Inter-Orthodox Relations of His Beatitude Patriarch Daniel, and included His Eminence Metropolitan Nicolae, and their respective clergy. 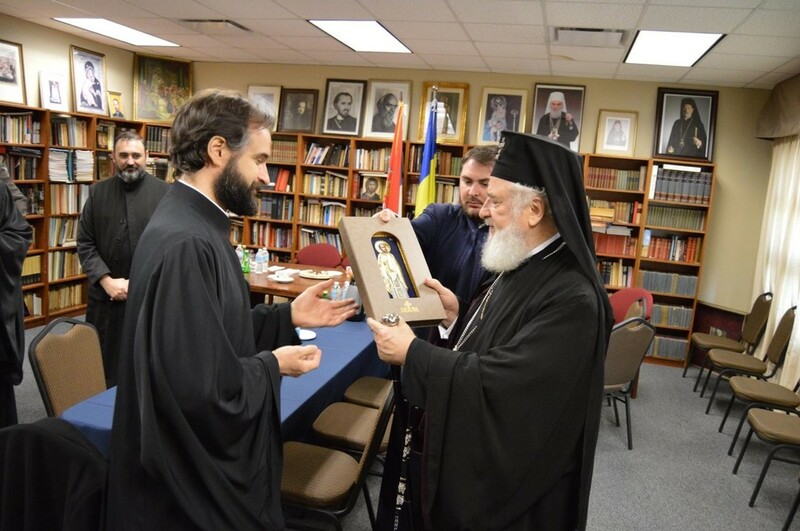 The guests from the brotherly Romanian church were welcomed on behalf of the Cathedral community by Protonamesnik Fr. 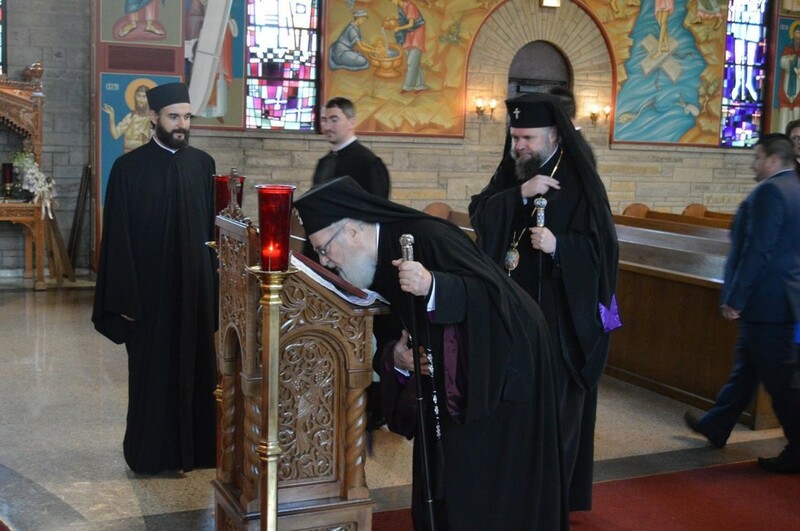 Radovan Jakovljevic, Fr. 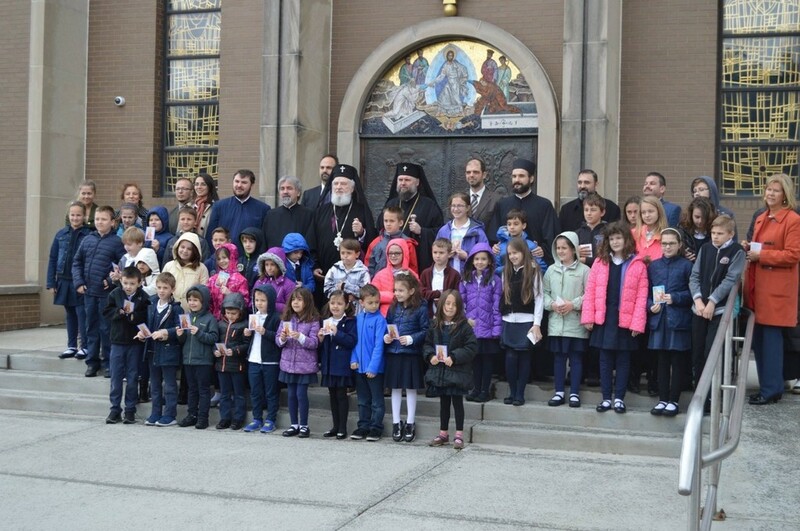 Vasilije Vranic, Ph.D, Milan Savich, Cathedral Executive Board President, and Nenad Djordjevic and Marko Bojovic of Saint Sava Academy, together with the students and teachers of the dual-language school. 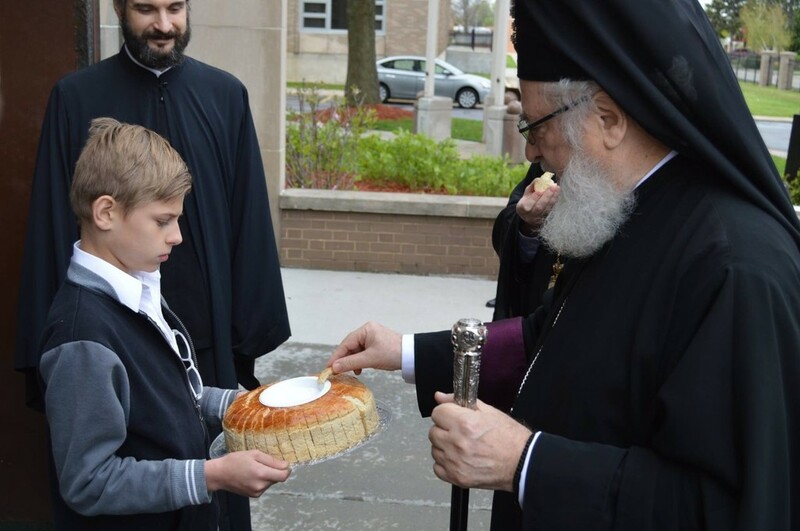 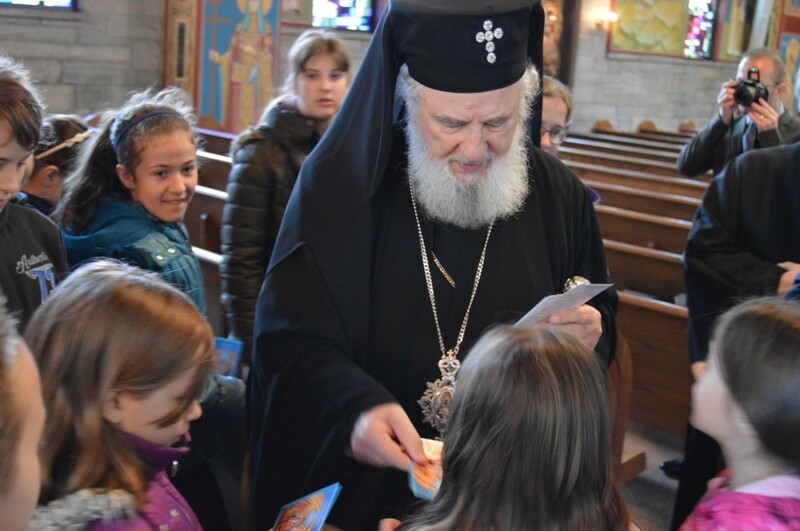 His Grace Bishop Longin of New Gracanica and Midwestern America concelebrated in the Enthronement of Metropolitan Nicolae on Sunday, April 30th, at Saint Constantine and Helen Cathedral in Chicago, and is scheduled to receive the high-level delegation later today at the Diocesan See.